Introducing animals into the garden environment can be done naturally or through domestic animals. 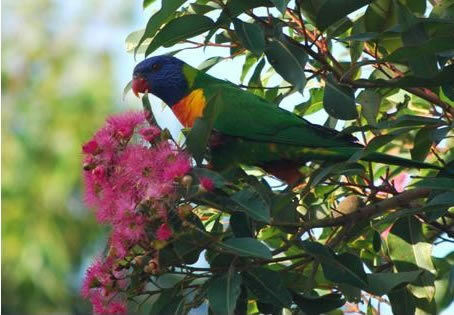 Through careful planting and landscape features the garden can provide a haven for wildlife and birds. 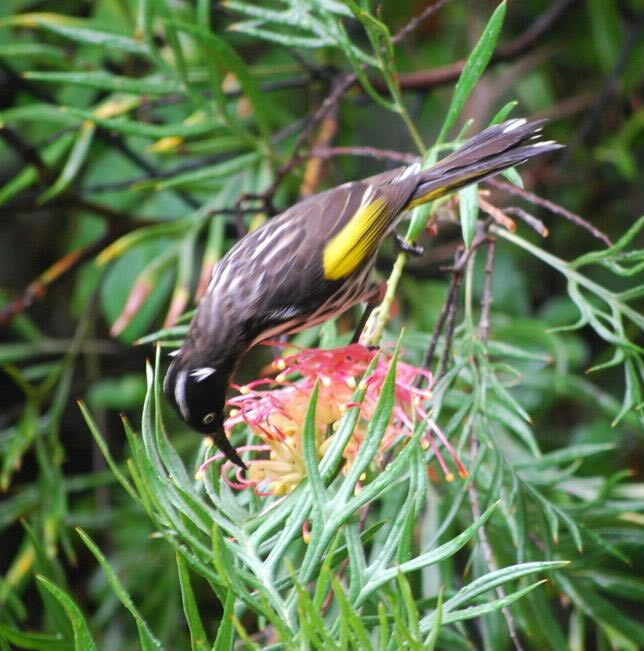 Consider planting native flowering plants to attract birds into the garden. The addition of flowering plants will bring bees, insects and birds into the space. By providing for the needs of wild birds you can also encourage regular feathered visitors. 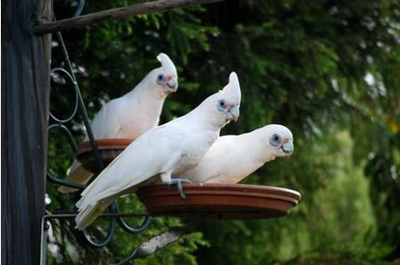 The addition of a water filled bird bath as well as feeding stations will encourage regular visits. Learn how to create a bird-friendly garden. Creating a frog friendly garden will bring an evening chorus of frog symphonies! You don’t need a pond, just some sheltered marshy ground will bring frogs hopping into your garden. Bringing animals into your home or care environment needs careful consideration. The decision should involve everyone and there needs to be a commitment to the care and maintenance of the animals. 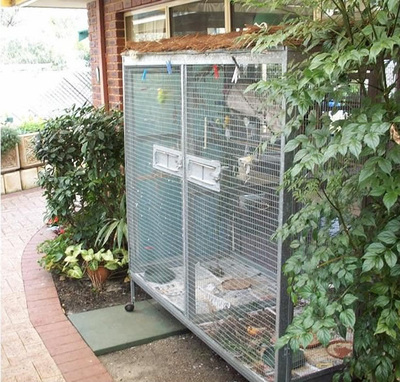 Introducing an aviary into the garden can provide opportunities to give care for elders, and thus tackle helplessness, but consider the placement and design of the aviary to get maximum benefit. The ideal location will be in a high traffic area, next to a communal window so the aviary can be enjoyed when sitting inside as well as outside. 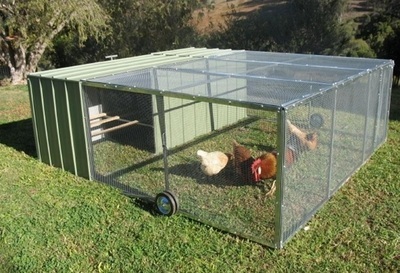 Consider shelter from sun and rain and make sure the aviary is secure from cats, foxes and snakes. 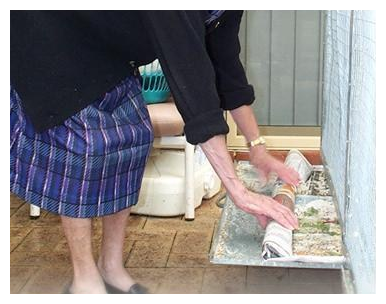 By incorporating enabling design features elders can care for the birds. Use swivel feeders for easy watering and feeding and pull out bottom trays for easy cleaning. 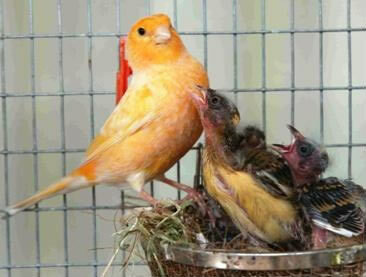 Canaries and finches make the best aviary birds as they are very visually active and having one male canary in the aviary will ensure beautiful song. 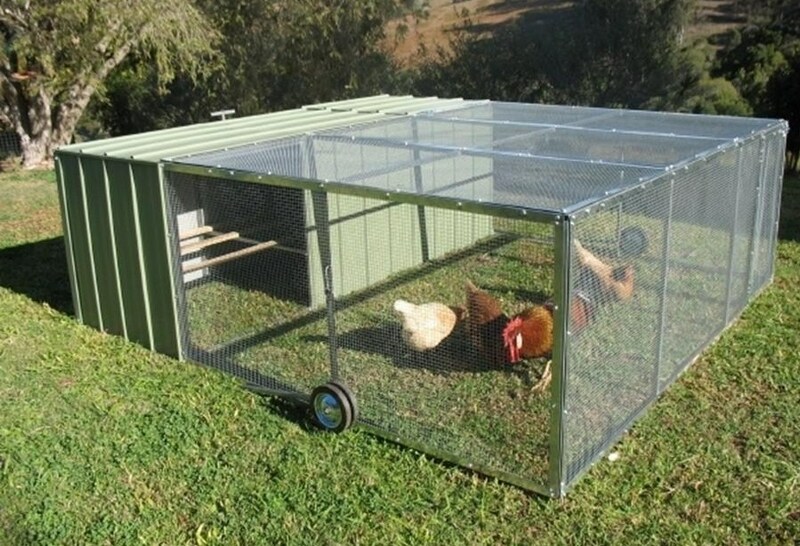 Local bird specialist shops can provide a great deal of helpful advice and equipment for setting up your aviary.